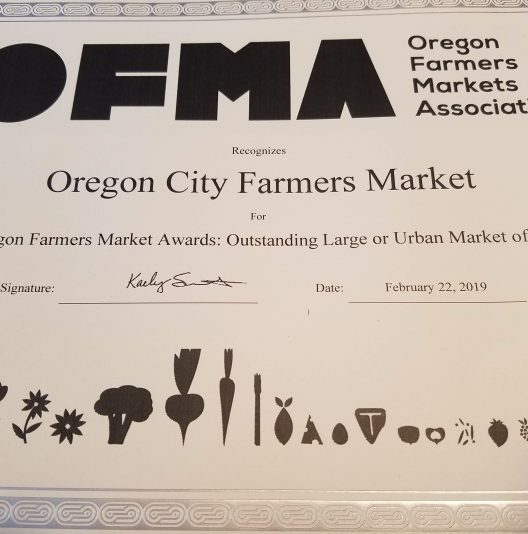 2019 Outstanding Large or Urban Market of the Year! See our interactive market vendor map. 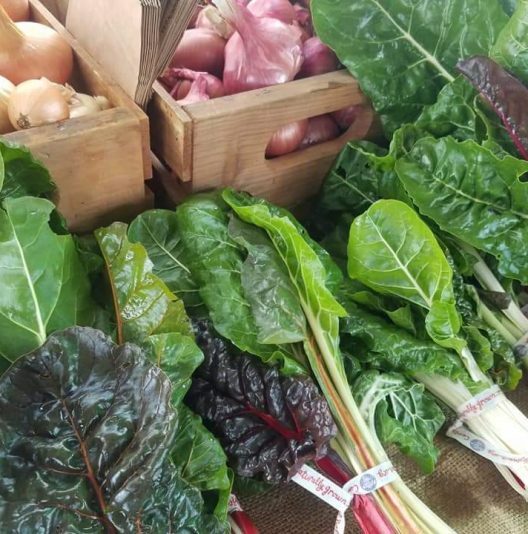 Our Winter Market runs every other Saturday Nov. 3rd through April 27th, 10am-2pm. 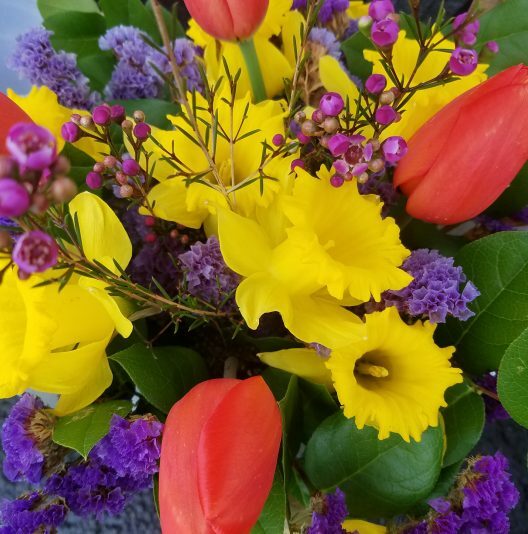 Don’t forget to place your orders this week before Thursday night on the Oregon City Farmer’s Market app! Then life is easy, pick up your orders at the vendor booths at the market this Saturday! 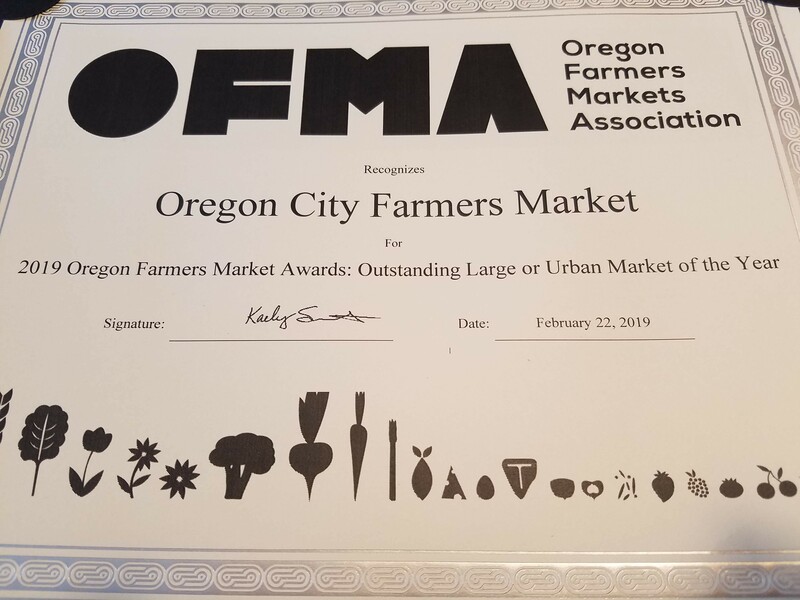 The app is a great way to ensure you will get what you came for and to show your support for your favorite local vendors and farmers. More vendors signing on every week! 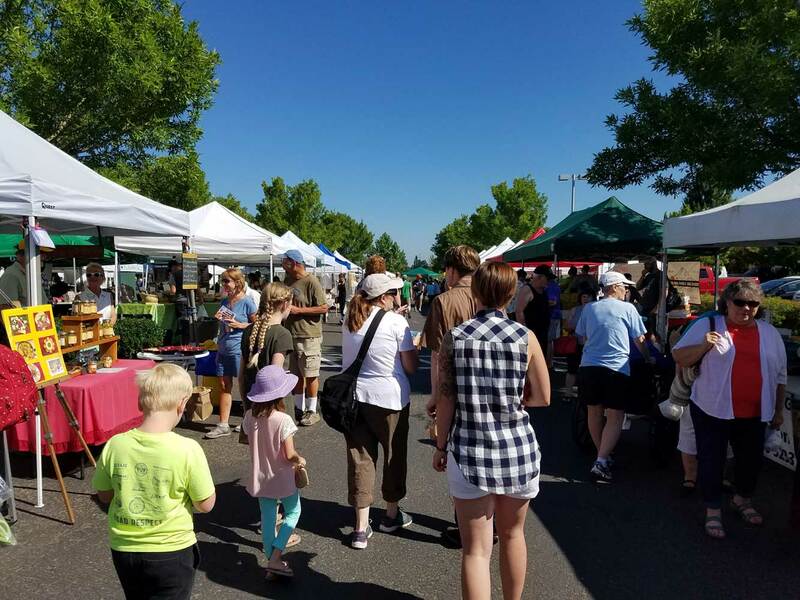 Located at the corner of Beavercreek and Kaen Roads at the Clackamas County Red Soils campus in the heart of Oregon City, the year-round Farmers Market is a showcase for local growers, farmers, ranchers, bakers, artisan food businesses, wineries, distilleries, cideries, breweries, and crafters. 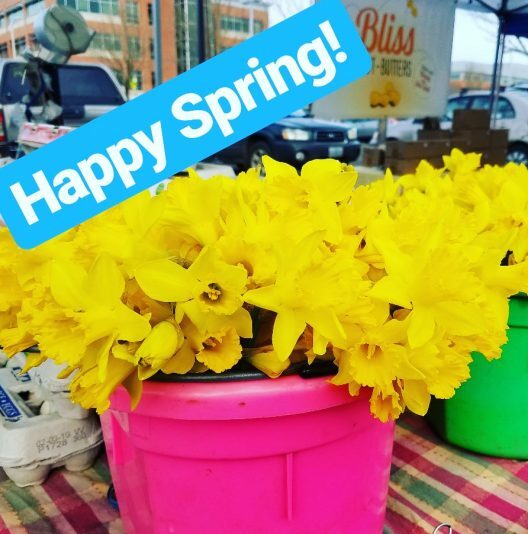 The Market also offers hot food and drinks, live music, and kids activities every market day throughout the year. 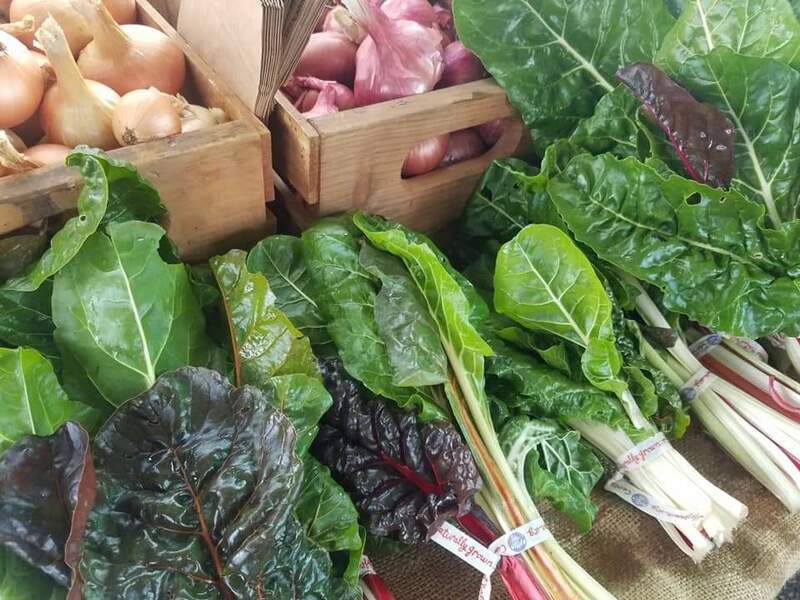 During the summer local chefs demo recipes using seasonal produce, meats and seafood and monthly events entertain the whole family. Parking is close and plentiful, with good access for wheelchairs, walkers and strollers. While we love dogs, only service dogs are allowed within the market site. The Winter Market runs every other Saturday, 10am-2pm, November 3rd through April 27th 2019 with approximately 30-40 vendors. 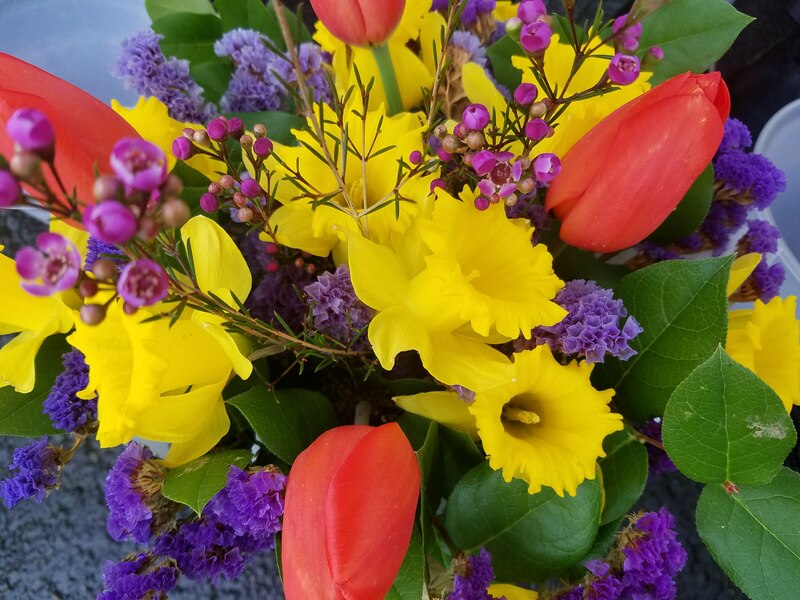 The winter market dates are November 3rd and 17th, December 1st and 15th, January 5th and 19th, February 2nd and 16th, March 2nd, 16th and 30th, and Apr 13th and 27th.